Here are two press releases related to today's NRC meeting regarding San Onofre Nuclear Waste Generating Station, which has been closed since January and should never reopen. The "DAB" Safety Team's report (I am a small portion of the DAB team) is attached (below, bottom). Ray Lutz's Citizen's Oversight press release is also below (top). There are rumors that the NRC would like SCE to give up and stop trying to restart San Onofre. Ain't gonna happen. San Onofre's owners were just given over 5 billion dollars in rate hikes over the next few years by the CPUC; they're rolling in dough to fix San Onofre at a leisurely pace. Current plans are to start SanO Unit 2 at 70% power for six months starting February 2nd, which is interesting because that would mean it would be purposefully shut down right smack in the middle of the summer, when it's supposedly needed the most! What kind of planning is THAT? Sounds propagandistic to me! PUBLIC to NRC: No Restart! Shut Down San Onofre! Date/Time: Friday, November 30, 2012 / 6-9 p.m.
Date/Time: Friday, November 30, 2012 / 4 p.m.
November 30, 2012 (SAN ONOFRE, CA) ­ A coalition of community advocacy groups opposed to the restart of the defective San Onofre Nuclear Power Plant will attend the public meeting rescheduled by the U.S. Nuclear Regulatory Commission (NRC) to consider Southern California Edison's plan to restart the defective nuclear reactor Unit 2 at San Onofre. This will follows the March to Decommission San Onofre, led by four Buddhist Monks from the Dana Point Harbor parking lot this morning to the pier. The original plans to go by the San Onofre plant were scuttled when high levels of radiation were measured near the replaced steam generator on the road. NO RESTART! of the defective nuclear reactor Unit 2 at the San Onofre Nuclear Power Plant. We demand a full License Amendment and Hearing and process, including evidentiary hearings with sworn testimony and cross-examination which include experts independent of the NRC, Edison and the nuclear power industry. Of course will all the facts on the table, this will likely mean there will be no restart attempted. This public meeting tonight is NOT a substitute for this process. Given how we got to this point and the serious loss of faith by the public in the NRC and Edison as a result, we can see no reason why all five NRC Commissioners would not want this as well. NRC proceedings regarding San Onofre should be conducted in the area most impacted by the decisions of these proceedings and should accommodate the more than 1,000 concerned citizens who are expected to attend ­ as they have consistently shown this year. The cities of San Clemente and Vista have joined in Senators Boxer's and Feinstein's call for the NRC to modify its policies and procedures in light of the Fukushima meltdowns, to further protect their residents and businesses. Offered to reconsider staying the restart of the idled reactors if restart becomes "imminent" before the completion of the processes ordered above. The Coalition to Decommission San Onofre is comprised of community-based, grassroots organizations in San Diego and Orange Counties concerned for the safety of 8.5 million residents living within 50 miles of the crippled San Onofre Nuclear Power Plant, and for the economy of Southern California. We continue to hold the five members of the Nuclear Regulatory Commission accountable. Southern California Edison wants to restart one of their broken nuclear reactors without fixing it first.1 The plant has been off-line since 1/31/2012 due to radiation leaks and excessive tube wear in newly replaced steam generators2 that are the worst in the nation. See Tubes Plugged Chart3 and Fairewinds Associates report: San Onofre's Steam Generators: Significantly Worse than all Others Nationwide.4 The NRC says design changes in these steam generators are flawed,5 making the reactors unsafe. California has excess power without California's unreliable nuclear power plants, even during peak summer months, according to California government documents6. And the California ISO's electricity grid Transmission Plan7 says there will be no grid stability concerns with San Onofre shut down. SCE erroneous claims about Westinghouse and AREVA Operational Analysis (OA) as being Deterministic Analysis are misleading, confusing and controversial. These OA’s are Actually Possibilistic Analysis, (PA) which is nothing more than Profitganda, the use of phony "feel good" information to sell an idea, product or concept to the masses. 1. Attachment 6 - Steam Generator Operational Assessment- 3.6 Summary of All OAs - The OAs (See Table 3-1) summarized in Sections 3.1 and 3.2 conclude the SIPC and AILPC are satisfied. 2. AREVA Attachment 6 – Appendix B: SONGS U2C17 - Steam Generator Operational Assessment for Tube-to-Tube Wear – page 20 - 4.2 - Operational Assessment Strategy: The nominal distance between extrados and intrados locations of neighboring U-bends in the same plane ranges from 0.25 inches to 0.325 inches due to the tube indexing. There are 36 U-bends in Unit 2 SG E-088 and 34 in SG E-089 with a separation less than or equal to 0.050 inches (Design 0.25 inches, Arkansans Nuclear One Unit 2 0.35-0.50 inches). The U-bends with the smaller separation distances are much better candidates for wear by rubbing yet do not exhibit TTW. Contact forces, as deteriorated by tube wear at support locations over time, will be calculated using advanced computational techniques. This will be combined with calculations of stability ratios to develop the probability of the onset of in-plane fluid-elastic instability (an alarming statement because a Main Steam Line Break (MSLB) accident has no time line), both as a function of operating power level and operating time. The operating power and operating time will be adjusted to provide a probability of occurrence of instability 0.05. This probability is based on considerations and requirements described in the EPRI SG Integrity Assessment Guidelines. Without the development of TTW, the Structural Integrity Performance Criteria, SIPC, is automatically satisfied to a probability greater than 0.95. DAB Safety team Comment: This is claimed to be a Deterministic OA but is using Probabilities. This is projecting possibilities using probabilities. Hence this is an (Alarming) Possibilistic OA and not a Deterministic OA as claimed by SCE. 3. Westinghouse Attachment 6 – Appendix D: Operational Assessment of Wear Indications In the U-bend Region of San Onofre Unit 2 Replacement Steam Generators, Page 5, Section 1- Introduction: For the SONGS application, the resulting wear distribution after a cycle of operation is known, or can be inferred from existing ECT data, but for any given tube, there are many parameters that resulted in the wear distribution that are unknown. It can be assumed that the tube and AVB surfaces will not have significant run-in effects for the first cycle of operation, but even this assumption involves a potential error of several hundred percent. Most importantly, the tube/AVB geometry is expected to be different than the original design intent, but all that can be inferred with the available information is the minimum length of the dominant tube vibration span. In the largest sense, the answer (wear distribution) is known, but the inputs are unknown. Foot Note 5, Page 102: Westinghouse does not have access to final manufacturing or inspection details, but anecdotal input indicates that six-pound weights were allowed and used during AVB inspection for consistency with AVB drawing tolerances. DAB Safety team Comment: When you start using the words unknown, assumed, inputs are unknown, anecdotal without verification and this assumption involves a potential error of several hundred percent, then this Deterministic OA is using unknown Probabilities and un-validated (Alarming) Possibilities. Hence this is a Possibilistic OA and not a Deterministic OA as claimed by Edison. 4. Enclosure 2 San Onofre Nuclear Generating Station Unit 2 Return to Service Report -Section 5.2.2 Probabilistic Risk Assessment: The differential pressure across the SG tubes necessary to cause a rupture will not occur if operators prevent RCS re-pressurization in accordance with Emergency Operating Instructions. The DAB Safety Team Comment: Do Southern Californians really want to live at the mercy of SCE’s plant operators, who will be put in the very difficult position of operating defective steam generators that already have thousands of damaged tubes, just so SCE can profit (See SONGS Union Leader's letter that the SONGS workforce thinks a restart is not safe)? Even an Ex-Plant Shift Manager said, “He was not going to put his license on line and risk public lives because SCE Management wants to make money by restarting a defective reactor.” The question is, how bad do these steam generators have to be before the NRC tells SCE to pulls the plug? The DAB Safety Team believes that SCE’s own data proves beyond a doubt, that these already heavily damaged replacement steam generators (RSG) should never be restarted. 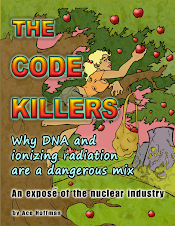 Guessing On Nuclear Safety Caused A Trillion Dollar Radioactive Eco-Disaster At Fukushima! SONGS is required to inspect its steam generators (SG's) and repair or remove from use any tubes found to contain flaws exceeding 35% of the nominal tube wall thickness. SCE was operating SONGS Unit 3 RSG E-088 for 11 months with eight tubes with flaws ranging from 72-100% in violation of the above law. Now SCE wants to jeopardize the safety of 8.4 Million Southern Californians by restarting their degraded Unit 2 RSGs with 2 flawed tubes exceeding 28% of their nominal tube wall thickness along with thousands of other fatigue damaged tubes that may have undetected, untested, undiscovered, unmeasured, undocumented and or un-quantified cracks and run it for 5 months! SCE is desperately trying to justify the restart of Unit 2 based on conflicting, confusing and erroneous Operational Assessments prepared by Westinghouse, AREVA, Intertek and MHI with Inscrutable (Undecipherable) Data and under-conservative computer models, which are not applicable to 100% Steam Voiding caused by a Main Steam Line Break and sub-cooled feed water flashing conditions due to Steam generator depressurization. The nominal tube wall thickness "flaw" of 28% of these tubes is projected to be > 31% during the 5 month trial restart of Unit 2 based on untested data, that may be applicable to other plants, but not to SONGS. Based on the history of the catastrophic and unprecedented failure of eight Unit 3 SG E-088 tubes, Unit 2 SG design deficiencies and incomplete tube inspections, these flaws can exceed the 35% plugging limit at any time prior to the end of 5 months trial period due to any abnormal plant operations or transients [e.g., loss of offsite power, adverse local thermal-hydraulic conditions (like high Steam voids of > 99.6% due to narrow tube pitch to tube diameter ratio, low tube clearances), etc. ], all of which are beyond the control of the operator. Hence, the Public and the Regulators will never know, until it is too late, when Unit 2 again will be operating in violation of the Technical Specifications Limit. Unit 2's Restart Effort is just an unapproved and desperate experiment, which is not permitted by law. The only legal option SCE has is to apply for a thorough NRC 10 CFR 50.90 License Amendment, along with transparent and trial-like public hearings. Anything less, would be a regulatory failure by the NRC, to protect public safety and a violation of the authority and the privileges granted by the President and Congress of the United States. Background: Steam Generator (SG) tubes form 50 percent of the Reactor's Highly Radioactive Coolant Pressure Boundary. SONGS Technical Specifications states, "SG tube integrity shall be maintained by meeting the performance criteria for tube structural integrity (SIPC) and accident induced leakage (AILPC) over the full range of normal operating conditions and design basis accidents." SONGS Technical Specification Limiting Condition of Operation 3.7.14 states, "All SG tubes satisfying the tube repair criteria shall be plugged in accordance with the Steam Generator Program. If one or more SG tubes satisfying the tube repair criteria (35%) is not plugged in accordance with the Steam Generator Program, then the reactor should be in Mode 5 (Cold Shutdown in 6 hours)." SONGS Technical Specification 5.5.2.11.c.1 states, "Tubes found by in-service inspection to contain flaws with a depth equal to or exceeding 35% of the nominal tube wall thickness shall be plugged." During the "in-situ" pressure testing of SONGS Unit 3 SG 3E-088, out of eight tubes, three tubes (Flaw Depth 99-100%) failed both the AILPC and SIPC SG Tube Integrity Performance Criteria; and 5 tubes (Flaw Depth 72-81%) passed the AILPC but failed the SIPC. The discovery of not one but eight Replacement Steam Generator (RSG) tube failures now, not only means that SCE was operating Unit 3 beyond their Current (Technical Specifications) Licensing Basis Limit (CLB), (which they have yet to be penalized for by the NRC, as required by law), but also offers real proof, for the very first time, that had a Main Steam Line Break (MSLB) accident happened, at least eight RSG tubes would have leaked/ruptured at once and thereby could very well have caused the SONGS reactor to Meltdown, due to loss of radioactive core coolant, an event which has not ever before been computer modeled by either the Industry or the NRC! 100% Void Fraction in SG U-Tube Bundle with sub-cooled Feedwater flashing, happened with complete severance of one tube along with damage to many neighboring tubes in Mihama Japan in 1991. One main steam isolation valve and one pressurizer relief valve could not be operated by remote control to stop the radioactive steam flow to the environment. The amounts of radioactive rare gas and iodine discharged to the atmosphere were about 2.3E10 and 3.4E8 Becquerel's, respectively. This single tube rupture caused the first INES level 3 nuclear incident in Japan, which ignited social concerns all over Japan because it shattered the nuclear industry's myth of 100% safe reactors! Questions: Because of its variable and often complex morphology, tube cracking can be difficult to detect and size by the conventional inspection techniques used by SCE, and the failure pressure and leak-rate behaviors of degraded tubes are not readily predictable; so why has SCE, in its rush to Restart Unit 2, not inspected thousands of Unit 2 Steam Generator tubes with T/R single-pass array probes, laser-scanned penetrant inspection and/or ultrasonic detection technologies to accurately determine the depth, extent and location of flaws (circumferential, radial and axial cracks) at U-bends, tube-support intersections and/or the clearances between these tubes? Furthermore, why has SCE not made use of the world's best remote video-inspection technology (which is not available in-house to Westinghouse, AREVA, Edison and/or MHI) to confirm the gaps between the tubes-AVBs-TSPs and condition of the TSPs for any structural deformation? SCE has blatantly refused to use state-of-the-art remote visual and/or mechanical inspection techniques to cut costs and save time. By not doing this, SCE has not performed a thorough inspection and accurately assessed the condition of the entire degraded RSG tube bundle, the weakened AVB structure and/or the damaged tube support plates. Answers: These inspections along with the detailed manufacturer's drawings would have accurately determined the condition of the gaps between Tubes/AVB and TSP of the entire degraded Unit 2 RSG's to identify all regions with narrow tube pitch to diameter ratio, low tube clearances, damaged tube support plates and potential steam dry-out areas. Furthermore, these RSG's, as designed by SCE's in-house designers, do not have any in-plane vibration protection to prevent cascading tube ruptures during a MSLB accident! Now Westinghouse is projecting the wear of 2 additional active tubes in SG 2E089 may be from 28% to ~31% by the end of 5 months assuming everything goes as planned, without any transients or MSLB. In light of SONGS Unit 3 poor operating experience, the projection of this number based on empirical formulas and data derived from other plants/tests is highly questionable and does not meet the intent of Deterministic Analysis. This 31% number is "shaving things too close" to the NRC's plugging limit of 35% and these 2 degraded tubes due to the RSGs design deficiencies described above present a formidable challenge to the Safe Restart of Unit 2 by making these tubes highly vulnerable to ruptures during any unanticipated operational occurrences and/or Main Steam Line Breaks. Therefore, these 2 active tubes and all their neighboring tubes should also be plugged consistent with the previous SCE Press Statement on Unit 2 RSGs, "Edison said it plugged six tubes in Unit 2 that had wear of better than 35 percent and plugged more than 500 other tubes preventively." Result: By not doing full inspections of all RSG tubes, nor plugging these additional 2 questionable tubes along with hundreds of their surrounding tubes as a preventive, SCE has failed BOTH the public's trust and has not met the performance criteria as specified in Appendix A, "General Design Criteria for Nuclear Power Plants," (GDC 14, 15, 30 and 32) to 10 CFR Part 50, which establishes the fundamental regulatory requirements for the integrity of their RSG tubes. Copyright November 19, 2012 by The DAB Safety Team. All rights reserved. This material may not be published, broadcast or redistributed without crediting the DAB Safety Team. The contents cannot be altered without the Written Permission of the DAB Safety Team Leader and or the DAB Safety Team's Attorneys. Don Leichtling and Ace Hoffman are the spokesmen of the DAB Safety Team, who along with the support of an ever-growing number of SONGS Concerned Insiders and Whistleblowers have prepared the following analysis. San Diego, CA (November 9, 2012)  The failure of eight Replacement Steam Generator (RSG) tubes (something which has never happened before) plus the structural integrity of thousands of additional damaged tubes in both SONGS Units 2 and 3 RSG's are now in question and affect the safety of about 8 million Southern Californians. This design failure, which has been termed by the NRC as "a very serious safety issue" because of the unprecedented tube damage: Unit 3 has 807 tubes plugged and Unit 2 has 510 tubes plugged  which makes them the 2 WORST RSG's in the history of the entire U.S. Nuclear "Fleet". Which means that SCE was operating beyond their Current License Basis (CLB) and Safety Analysis Limits, plus SCE has yet to be penalized by the NRC for these violations, as required by law. These RSG failures also offers real proof for the very first time, that if a Main Steam Line Break accident had occurred, at least eight RSG tubes would have leaked/ruptured and potentially caused the SONGS Unit 3 reactor to become a nuclear disaster (e.g., like Fukushima, Chernobyl or Three Mile Island) due to the loss of undetermined amount of radioactive core coolant! The truth is that San Onofre escaped becoming an International Nuclear Events Scale (INES) Level 7 nuclear disaster by the slightest of margins, unlike Fukushima! SONGS Reactor Compatibility Experiment (RCE) States, "Visual inspection of the tube sheet primary side of the SG 3E088, with the secondary side pressurized, identified the tube with the leak. Subsequent Eddy Current Testing (ECT) inspection identified extensive unexpected tube free-span wear at the leakage location, not typically seen in recirculating SGs, and tube-to-support wear. A full-length ECT inspection of each tube (100%) in all four SGs using a bobbin coil probe was performed and provided a comprehensive extent of condition evaluation for tube free-span and tube-to-support wear. The bobbin coil probe inspection was supplemented by Rotating Coil (+Point) probe inspection, which provided further confirmation of the extent of condition. This supplemental rotating probe examination covered the U-bend portion of approximately 1300 tubes in each SG." Thousands of Unit 2 Steam generator tubes, Anti-vibration Bars and Tube support Plates have suffered extensive wear and undetermined amount of internal cracking during 22 months from flow-induced random vibrations and/or cyclic fatigue. In addition, SCE has only performed remote visual inspection of 8% of the tubes in their damaged Unit 2 RSG's plus this does include inspection of any tube support plates for any visible damage, structural deformation, cracks and/or any other abnormalities. The methods employed by SONGS using bobbin and rotating coil (+Point) probes to inspect the Unit 2 damaged tubes cannot reliably determine the depth, extent and location of these cracks, so the actual condition of the tubes remains a dangerous unknown! In a Rush to Restart Unit 2 and cut their costs, Edison has not inspected more than 2000 Unit 2 Steam Generator tubes with T/R single-pass array probes, laser-scanned penetrant inspection and ultrasonic detection technologies to accurately identify and determine the depth, extent and location of these internal cracks at the U-bends and tube-support intersections. NRC's regulations do not allow SONGS to start up with any steam generator tube cracked more than 35% of its wall thickness. Therefore by not performing these accurate inspections, Edison has not met the performance criteria specified in 10 CFR Part 50, Appendix A, "General Design Criteria for Nuclear Power Plants," Criterion 14, 15, 30 and 32, which establishes the fundamental regulatory requirements for the integrity of the SG tubes.
. Any failure under these conditions, would allow significant amounts of radiation to escape to the atmosphere and a major nuclear accident would easily result causing much wider radiological consequences and even a potential nuclear meltdown of the reactor! Since these events would happen at an extremely fast pace, no credit is assumed in the first 5 minutes of the main steam line break accident for: (1) Enhanced Unit 2 Defense-In-Depth Actions - SCE Restart Plan Enclosure 2, Item 9.0, and (2) The differential pressure across the SG tubes necessary to cause a rupture will not occur if operators prevent RCS re-pressurization in accordance with their Emergency Operating Procedures - Enhanced Unit 2 Defense-In-Depth Actions - SCE Restart Plan Enclosure 2, Item 5.2,2, Probabilistic Risk analysis. In Emergency Planning Space, decisions have to be Accurate and Timely. Under-conservative, rushed and profit-motivated analyses based on limited facts, biased and ambiguous operational data, untested deterministic and probabilistic risk analysis, conflicting theories and differing operational assessments of degraded equipment at even reduced power operations for 150 days with conditional monitoring along with unproven and unreliable compensatory actions represent enormous risks to public safety, the environment and our nation's economy. The NRC must REALLY resolve the concerns stated above as soon as possible. In the interim, the NRC must stop making favorable decisions to SCE (especially when it lacks defensible technical and inspection bases), which affect the lives of millions of Southern Californians." 1.Fairewinds Associates Internationally Known Nuclear Consultant Arnie Gundersen and his team of Anonymous Industry insiders, who have had lengthy careers in the design, fabrication, and operation of nuclear steam generators. 2.Professor Daniel Hirsch and Internationally Known Nuclear Consultant Dale Bridenbaugh. 4.David A. Lochbaum, Director of the Nuclear Safety Project for the Union of Concerned Scientists (UCS). Copyright November 9, 2012 by The DAB Safety Team. All rights reserved. This material may not be published, broadcast or redistributed without crediting the DAB Safety Team. The contents cannot be altered without the Written Permission of the DAB Safety Team Leader and or the DAB Safety Team's Attorneys. >Fluid Elastic Instability (FEI) is a phenomenon that can occur in poorly designed Steam Generators (SG's) due to very 'dry' steam (low moisture content, aka high steam void fractions) causing the SG tubes to vibrate vigorously along their length (called the in-plane direction) until they hit their neighboring tubes due to tight clearances. These forces can cause tube-to-tube ruptures, while the tight clearances between the tubes can be attributed to operating, poor design and or even manufacturing defects. >At the end of January 2012, a radioactive leak in SONGS RSG Unit 3, resulted in an emergency shut down, the cause of which was later determined to have been fluid elastic instability (FEI >1) caused by higher vapor fractions (~99.6 %). Later 8 tubes failed their "in-situ" pressure testing and leaked with a flow > 0.5 gallons per minute at Main Steam Line Break Testing Conditions which resulted in more than 800 additional tubes having to be plugged; which is something that has never happened before in the USA. It is important to note that SCE's poorly designed RSG's now have more damaged and or plugged tubes than all the rest of the US reactor fleet put together and that is with only 7% of the tubes in Unit 3 and 8% of the tubes in Unit 2 having been visually inspected to date! >Imagine what would have happened if something like an "ordinary" Main Steam Line Break (MSLB) occurred where the void fractions would have reached 100% causing the vibration amplitude to increase exponentially, which would then cause hundreds of tubes to leak and or rupture, which would have then over-pressurized the steam generators, lifted the main steam safety valves and released 60 tons of radioactive coolant and steam into the Southern California environment within a matter of minutes. This would have caused a Fukushima Type of Nuclear Reactor Meltdown in SONGS Unit 3 Reactor, so Southern Californians were very lucky this time (See all the DAB Safety Team Papers.). >The truth is that San Onofre escaped becoming an International Nuclear Events Scale (INES) Level 7 nuclear disaster by the slightest of margins, unlike Fukushima! >The DAB Safety Team assisted by several SONGS Anonymous Insiders has concluded that SONGS Unit 2 Replacement Steam Generators (RSG's) are in worse shape now than certified by the SCE and their three NEI Qualified, "U.S. Nuclear Plant Designers." Even at 70% power operations, if a steam line break outside containment were to occur in Unit 2, the depressurization of the steam generators with the failure of a main steam isolation valve to close, it would result in 100% void fraction in the degraded U-Tube bundle and the "straight leg portion" between the Tube Support Plates. This condition of ZERO Water in the steam generators would cause fluid elastic instability (FEI) and flow-induced random vibrations, which would then result in massive cascading SG tube failures, involving hundreds of degraded active SG tubes, along with all the damaged inactive (all the plugged /stabilized) SG tubes. With an undetermined amount of simultaneous tube leaks/ruptures, approximately 60 tons of very hot high-pressure radioactive reactor coolant would leak into the secondary system. The release of this amount of radioactive primary coolant, along with an additional approximately 200 tons of steam in the first five minutes from a broken steam line would EXCEED the SONGS NRC approved safety margins. So, in essence, the RSG's will become loaded guns, or a nuclear accident waiting to happen. Any failure under these conditions, would allow significant amounts of radiation to escape to the atmosphere and a major nuclear accident would easily result causing much wider radiological consequences and even a potential nuclear meltdown of the reactor! Since these events would happen at an extremely fast pace, no credit is assumed in the first 5 minutes of the main steam line break accident for: (1) Enhanced Unit 2 Defense-In-Depth Actions - SCE Restart Plan Enclosure 2, Item 9.0, and (2) The differential pressure across the SG tubes necessary to cause a rupture will not occur if operators prevent RCS re-pressurization in accordance with their Emergency Operating - Enhanced Unit 2 Defense-In-Depth Actions - SCE Restart Plan Enclosure 2, Item 5.2,2, Probabilistic Risk analysis. >1. Fairewinds Associates Internationally Known Nuclear Consultant Arnie Gundersen and his team of Anonymous Industry insiders, who have had lengthy careers in steam generator design, fabrication, and operation. >2. Professior Daniel Hirsch and Internationally Known Nuclear Consultant Dale Bridenbaugh. >4. David A. Lochbaum, Director of the Nuclear Safety Project for the Union of Concerned Scientists (UCS). >(4) Since nobody really knows, what really happened, all the Parties have a shared interest to "Operate Unit 2 at reduced power as a "Test Lab to conduct Nuclear Experiments " to determine, "What really went wrong with unit 3, so SCE can determine the Root Cause, corrective actions, repair and test plans to return both units 2 and 3 to full power operations." >1. Independent Expert 1 states, "U-tube out-of-plane direction is more susceptible to flow-induced excitation than the in-plane direction due to lower U-bend natural frequency in the out-of-plane direction. U-tube FEI in the in-plane direction has never been observed in the U-tube SGs before its occurrence in the SONGS SGs. However, recent academic studies report (2005) that FEI may also occur in the in-plane direction, if tube motion in the in-plane direction is possible (no tube in-plane supports or low tube contact forces with the out-of-plane supports). " >2. Independent Expert 2 states, "Out-of-plane fluid-elastic instability has been observed in nuclear steam generators in the past and has led to tube bursts at normal operating conditions. However, the observation of in-plane fluid-elastic instability in steam generators in a nuclear power plant is a true paradigm shift." >DAB Safety Team Comment to items 1 & 2: FEI in the in-plane direction has been identified as early as 1983 by Academic Scholars and Palo Verde Replacement Steam Generator manufactured in the early 2000s are designed for FEI. Weaver and Schneider in 1983 examined the flow induced response of heat exchanger U-tubes with flat bar supports. It is worth quoting the first conclusion of their paper: "The effect of flat bar supports with small clearance is to act as apparent nodal points for flow-induced tube response. They not only prevented the out-of-plane mode as expected but also the in-plane modes. No in-plane instabilities were observed, even when the flow velocity was increased to three times that expected to cause instability in the apparently unsupported first in-plane mode." >3. Independent Expert 1 states, "ECT-based AVB locations are compared with design-based locations. It is evaluated that AVB insertion depth in actual SG is not changed compared with the design-based location. There is some Pattern-1 wear identified by visual inspection, for which Bobbin ECT was not able to detect as this type of wear." >4. Independent Expert 2 states, "It should be noted that because of field spread effects the bobbin probe typically overestimates wear scar lengths." Even though no evidence of elongated wear scars is evident in Unit 2, it doesn't necessarily rule out undetected in-plane instability. Wear scars at AVB locations may be too shallow to evaluate properly and AVB wear scar lengths may be shortened by a contact length that is small because of the presence of AVB twist. The best evidence of in-plane instability is the detection of TTW, not the detection of elongated AVB wear scars. Extensive inspections of the regions of interest with the +Pt™ probe show that possible undetected TTW would be less than 5 %TW. It is unreasonable to expect detectable elongation of AVB wear scars without the detection of TTW. The significance of elongated AVB wear scars is that the amount of elongation reveals the extent of unstable tube motion in-plane. >5. Independent Expert 3 states that he does not have access to the assembly procedures. The 0.12 to 0.14 dimensions are anecdotal (based on personal observation, case study reports, or random investigations rather than systematic scientific evaluation) without verification. >Copyright November 02, 2012 by The DAB Safety Team. All rights reserved. This material may not be published, broadcast or redistributed without crediting the DAB Safety Team. The contents cannot be altered without the Written Permission of the DAB Safety Team Leader and or the DAB Safety Team's Attorneys.